Easter ornament DIY Crafts are for decorating Easter trees both inside and outside of the home. Both kids and adults enjoy making these easy Easter crafts. Easter egg ornaments were originally made out of hallowed eggs, while today an Easter ornament can be made out of eggs, felt, salt dough, paper, yarn, fabric, natural materials, and so much more! Both kids and adults enjoy making these fun and easy Easter crafts. Make some DIY Easter ornaments to decorate your Easter tree, and spring nature table this year. Homemade Easter egg ornament crafts are also a lovely way to decorate the home in the spring for the Vernal Equinox. 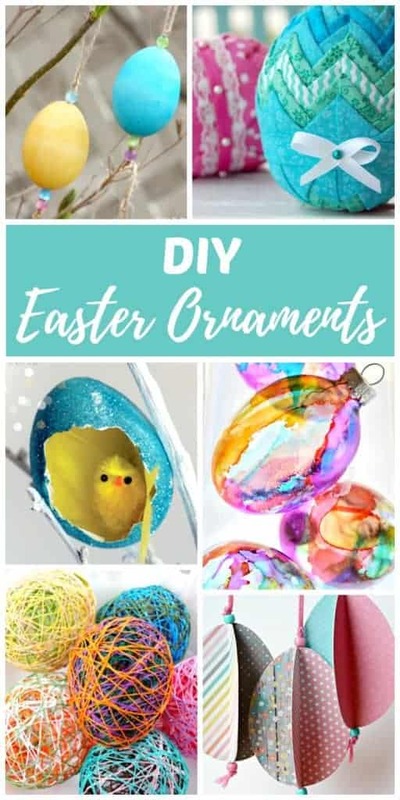 This gorgeous collection of DIY Easter Ornaments has been arranged by the type of Easter ornament, or the crafting material that was used to make it, so you can easily the type of Easter ornament craft that you are looking for. 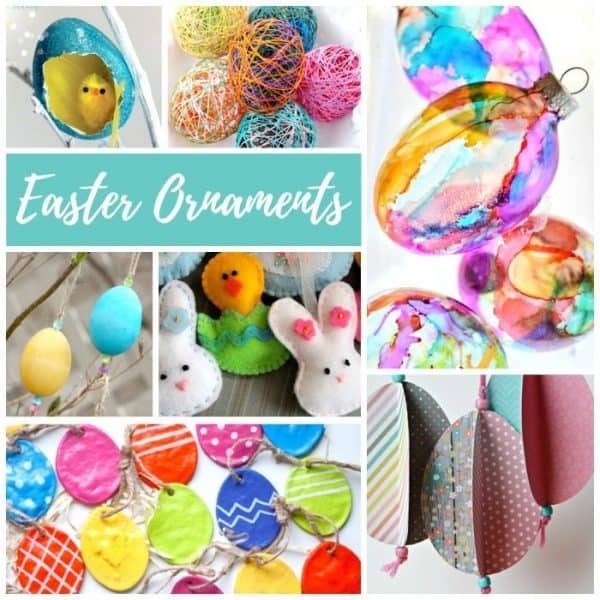 There are so many fun Easter ornament crafts to try my daughter and can’t wait to get started making some of these beautiful creations. 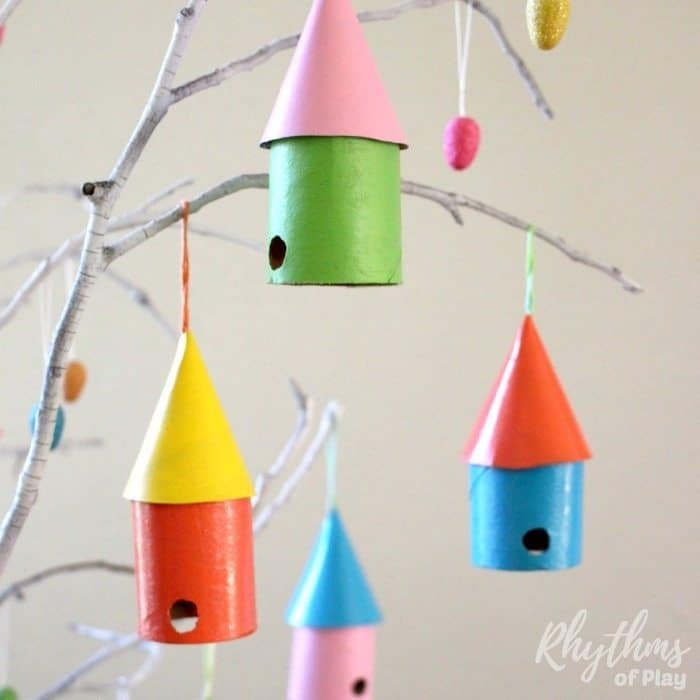 We hope you enjoy making Easter egg ornaments, and some of the other fun ornament craft ideas found below, to decorate your Easter tree as much as we do! DIY Easter ornaments are for decorating Easter trees, centerpieces, and spring nature tables. Both kids and adults enjoy making these easy Easter crafts. Homemade Easter ornaments are also a lovely way to decorate the home for the Spring Equinox. For more spring family fun be sure to hop over to have a look at our Spring Bucket List. If you have ever wondered how Easter Eggs, the Easter Bunny, and Easter Baskets have come to be associated with Easter, we have uncovered some interesting theories to share with you in Easter Traditions to Start with Your Family. A well-detailed article, thanks for sharing this post.